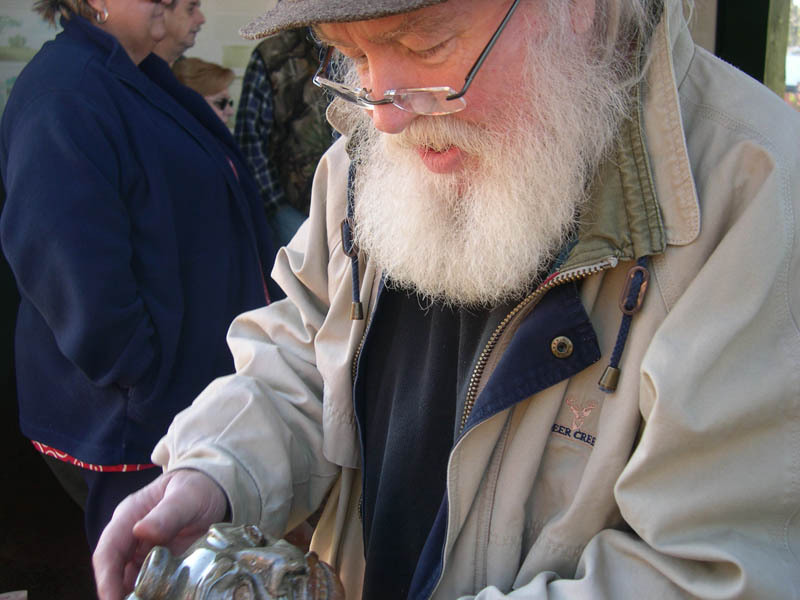 Stephen Ferrell of Old Edgefield Pottery to be honored by SC Arts Commission. COLUMBIA– The South Carolina Arts Commission and McKissick Museum at the University of South Carolina announce winners of the Folk Heritage Award. The S.C. State Legislature will present the awards upon adjournment in the House Chamber, midday on May 3 at the Statehouse. Fiddle player Carder, of Leesville, gained a good deal of his knowledge from Folk Heritage Award recipient Pappy Sherrill and is being honored for his skills and dedication in maintaining a valued community tradition. Grant, of Georgetown, learned to make hammocks from his aunt and is being recognized for maintaining and sharing the tradition of hammock making. Ferrell, of Edgefield, is being recognized for his unyielding promotion of the alkaline-glazed stoneware pottery tradition. Following the Statehouse ceremony a reception will be held at the Capstone House on the campus of the University of South Carolina. For more information about the awards ceremony or reception, contact Saddler Taylor, McKissick Museum, at (803) 777-7251.